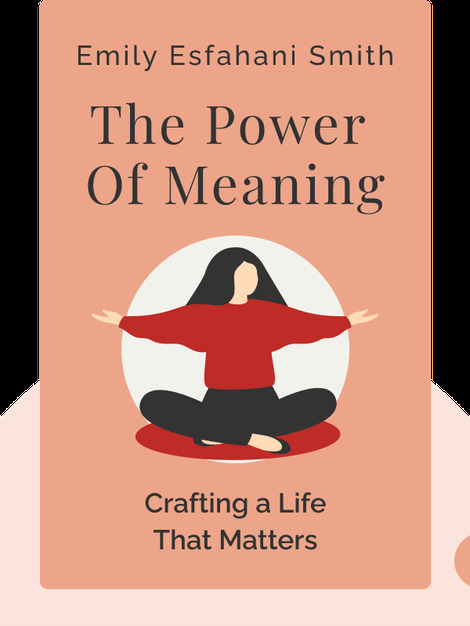 The Power of Meaning (2017) discusses the four pillars of meaning that a person should honor if they hope to lead a fulfilling life. This book encourages readers to discover themselves by searching for a purpose in life, connecting with others, engaging in transcendence and learning from past traumas. 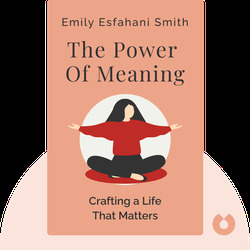 Emily Esfahani Smith is an editor at Stanford University’s Hoover Institution, and writes about culture and psychology for the New Criterion. Her articles have also appeared in the Wall Street Journal, the New York Times and The Atlantic.